Obituary for Vesta B. 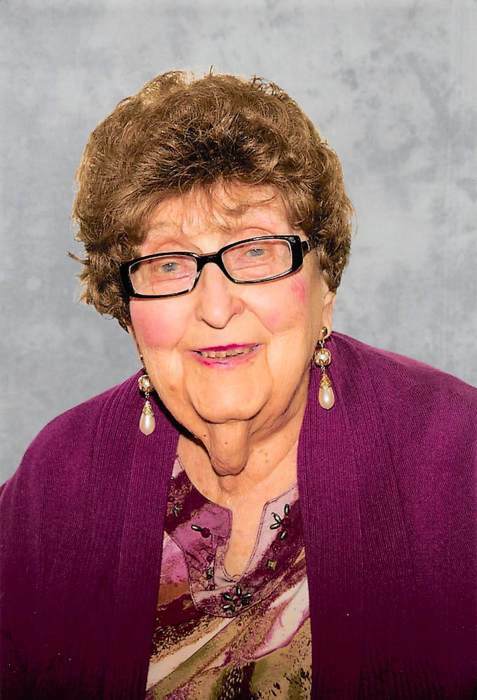 (Munger) King | Schaffer Funeral Home, Inc.
Vesta Beatrice Scott-King, 99, of Defiance, passed away peacefully on Saturday evening, August 18, 2018, at the Laurels of Defiance. Vesta was born on April 14, 1919, to the late Forrest and Maude (Musselman) Munger in Paulding, Ohio. Vesta married Lee M. Scott, June 2, 1940, and he preceded her in death on January 10, 1969. Vesta then married Donald M. King on October 7, 1972, and he preceded her in death on October 13, 1991. A lifelong resident of Defiance, Vesta worked at many local businesses and lastly at Defiance Milk Products, Powder Packaging Dept. She was a member of St. Paul’s United Methodist Church and its Ruth Circle. Surviving Vesta are her two sons, Barton (Jane) Scott and Dennis (Carolyn) Scott of Defiance; four granddaughters, Shannon (Brad) Lamb, Defiance; Emilie (Chris) Wright, Phoenix, AZ; Karlee (Steve) Konopka, Commerce Township, MI; Natalie Scott of Cleveland, OH; and nine great-grandchildren. Vesta was preceded in death by her parents, her husbands, a brother, Virgil Munger and a sister, Joy Munger. Visitation for Vesta B. King will be held Saturday, August 25, 2018, from 10-11 a.m. at St. Paul’s United Methodist Church, 400 Wayne Ave., Defiance, followed immediately by a Memorial Service at 11:00 am. Burial will follow at Riverview Memory Gardens. The family would like to extend their appreciation and gratitude for the loving care Vesta received at the Laurels of Defiance for the past eight years and to Heartland Hospice for the care the past several weeks. In lieu of flowers, memorial contributions may be made to St. Paul’s UMC or Heartland Hospice.